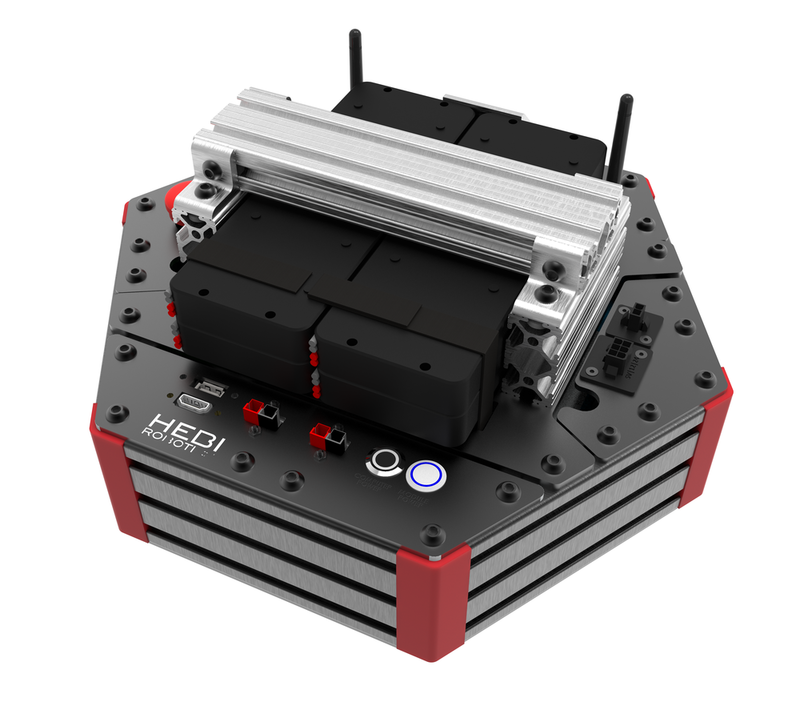 In addition to individual actuators, HEBI Robotics designs robotic system kits. These kits can be configured to customer specifications. All kits include actuators, connecting accessories, electrical wiring and power supply, assembly instructions, and example code. If you don't see a kit below that fits your application, we'd still love to hear from you. Our library of robotic components and kits is constantly evolving based on end user feedback. 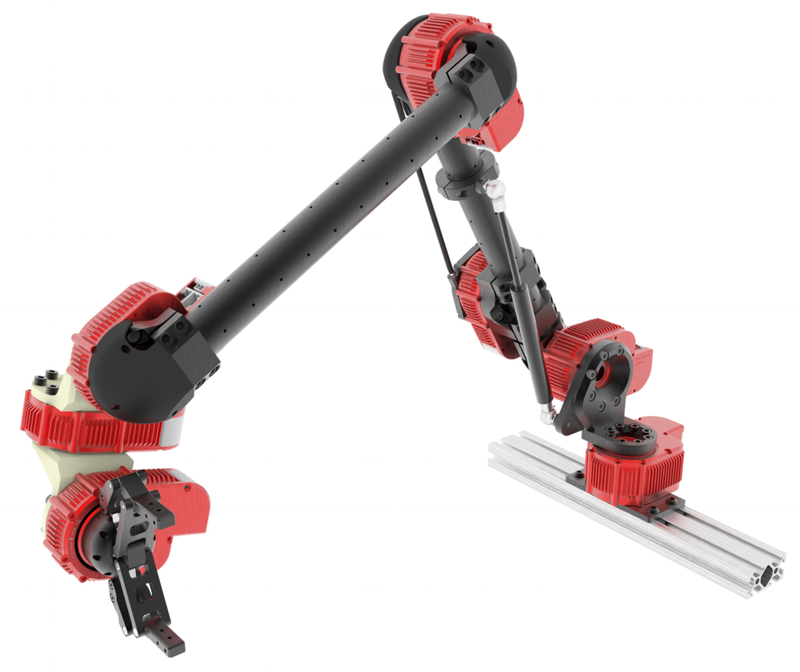 HEBI's robotic arm kits are fully configurable to a wide range of workspaces and payloads to best fit the customer's needs. HEBI's SCARA-style arm kit with four degrees of freedom includes the framing shown. 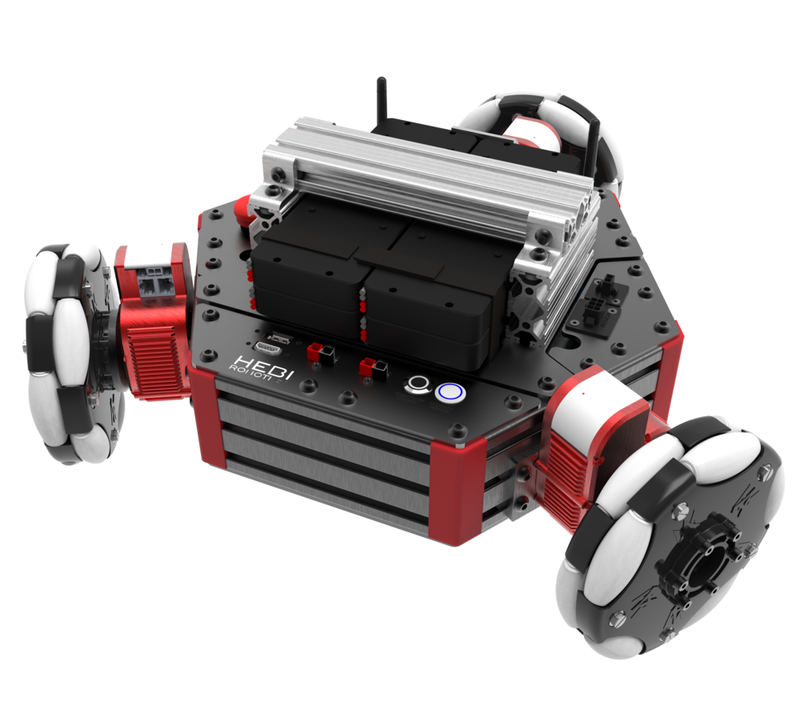 Rosie is HEBI’s 6-DoF Robotic Arm Kit with a Gripper on an omni-directional base. 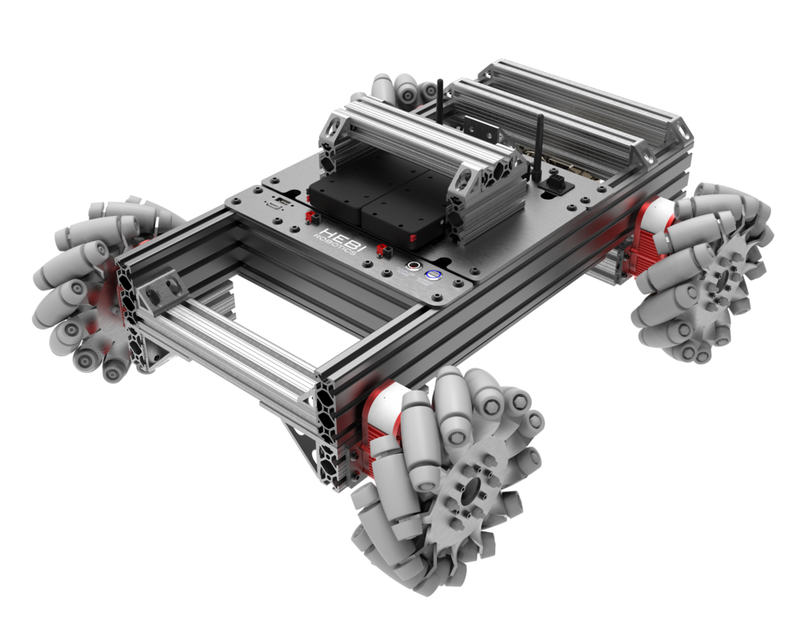 Meet IGOR—HEBI's wheeled, self-balancing, R/C robot kit with 14 degrees of freedom. Additional accessories include an integrated webcam and tilt degree of freedom (not shown). Also known as "X-Monster" or “Daisy”. HEBI's hexapod is a six-legged R/C robot kit. Edward is an omni-directional, mobile manipulator robot kit with 13 degrees of freedom. This kit includes an omni-directional mobile base with electronics for tetherless operation. 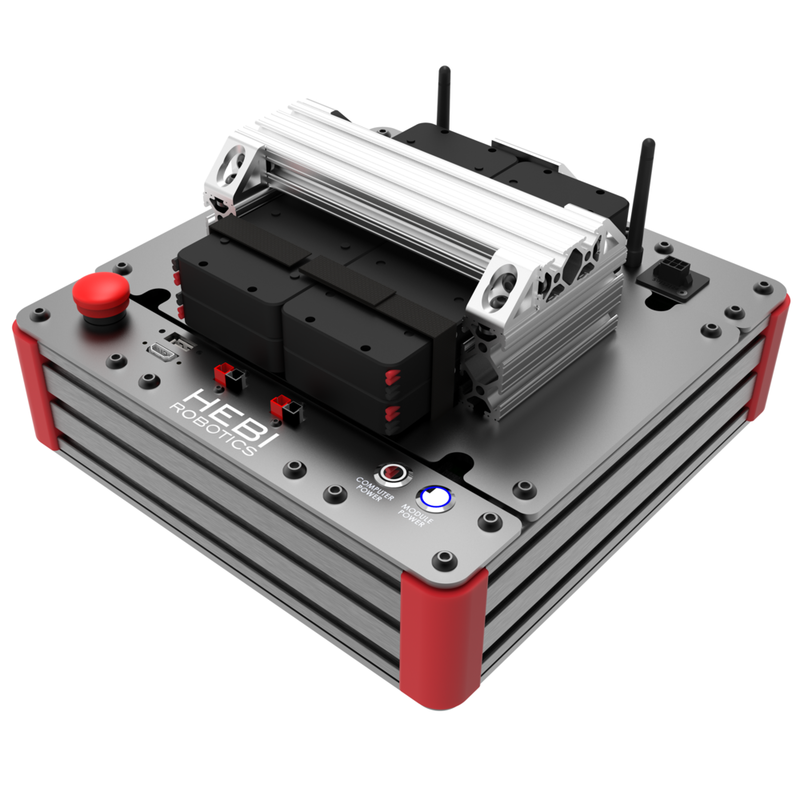 The HEBI Mobile Base Kits utilize the Modular Chassis Kits along with HEBI X-Series Actuators® to create a starting point for your mobile platform.